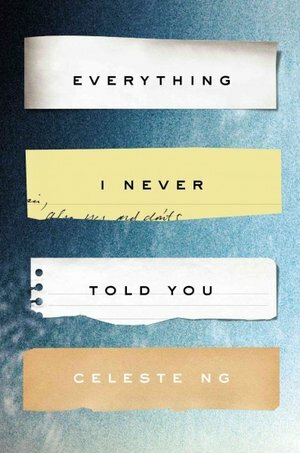 [Book] Everything I Never Told You. That is the first line in this book by Celeste Ng. In this contemporary novel, “Everything I Never Told You,” we are presented with a fact: Lydia is dead. It is not a ride full of laughter and joy but a rather sad story filled with realizations and regret. Lydia is the second child of Marilyn and James Lee. Being a half-Chinese, half-American child in the United States during the 1970s was not easy for Lydia or for her older brother, Nath and younger sister, Hannah. Making friends was not easy and neither is having to live with high expectations from your mother. This is not only a story about a young girl named Lydia. Rather, it is the story of her whole family; how each and everyone of them contributed to the decisions made by Lydia and each other until the time of her death. What would you do if the person you thought you knew turns out to be someone you don’t know at all? I have to be honest that this book made me cry. I felt the regret and disappointment in the characters and it was just heartbreaking. I wanted to turn the hands of time for them so that they didn’t have to suffer the loss of their loved one. Ugh.. the feels. Not only did this book make me feel the sadness the characters felt, it also made me realize that every little thing we do or say can really affect other people in a massive way. There are also times when we neglect to express what we really mean thinking that it does not matter yet it turns out, had we expressed our true feelings, things would’ve turned out differently. Little gems of realizations like these are abundant in this book and it’s scary to think that our own little actions could cause something so devastating to our loved ones. One of the topics touched upon in this book is the effect of the parents’ attention to their children or the lack thereof. Parents normally have such high expectations and dreams for their children that sometimes they forget their children have their own identities as well. There are times when the parents try so hard for their children not to make the same mistakes they did that they push them to exactly where they don’t want them to be. The beauty of irony. This had been a good read but if you’re looking for something light and fun, don’t even try to read the synopsis of this book. “Everything I Never Told You” touches upon various serious topics that society sometimes overlooks. They bear much weight to our lives yet they are overshadowed by more obvious and highly publicized issues. Read this book and you would take a step back at every decision/action you’ve ever made and will make. It just might change the way you look at life. [Part 2] Movie Theme: World War II. 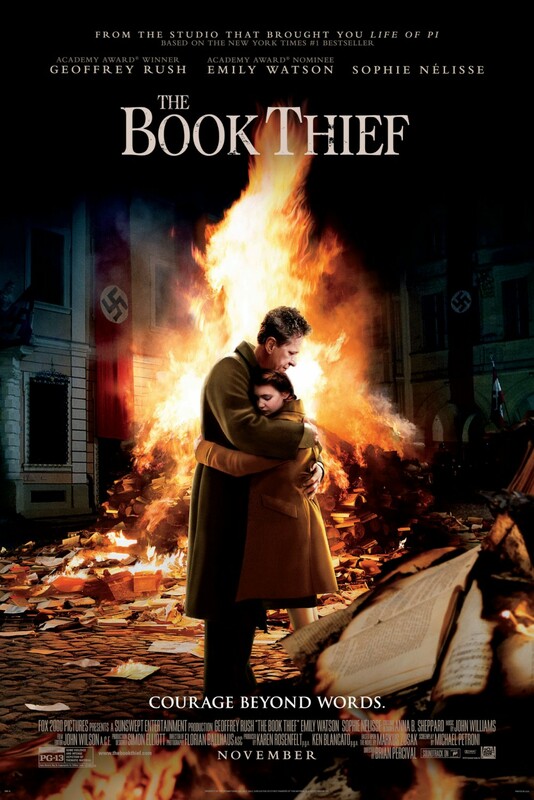 After watching “The Imitation Game,” I suddenly had the urge to watch “The Book Thief” seeing as they were both set during the Second World War. Both movies may be set in the same era but not only are they telling the stories from opposite sides of the coin, they are also targeted at different audiences. “The Book Thief” is more targeted towards children or young adults while “The Imitation Game” is for a more mature audience. This is not to say that either movies would only be enjoyed by the age group to which it was intended to. As what can be read in my previous post about The Book Thief (Book), I really enjoyed the narration parts of Death as it provided an interesting point of view and it was surprisingly entertaining despite the dark and heavy feeling of the setting. This movie is also narrated by Death although I have to say that it wasn’t as well-portrayed as I hoped it would be. The narrations were scarce and dispersed that you don’t even feel the significance of Death being its narrator. There were scenes missing in the movie that made an impact on my experience as a reader of the book. I don’t know why certain scenes were cut or left out; it could be because it would not have translated well on screen or they just decided it would not add value to the outcome of the movie. Whatever reason they may have had, it made me long for those scenes and felt like the movie was an incomplete entity without them. The book left me feeling inspired and in awe of the power of words because it made such a lasting impression and the message of the author reflected with the words he had written. In this movie, although the tag line is “COURAGE BEYOND WORDS,” it was not expressed as powerfully as it was in the book. That’s what I was searching for. The feels. Sure, there were heartbreaking, tears-inducing scenes, but it lacked something. The characters were on point and were chosen well for the roles they played. I was glad that at least now my imagination would have a specific actor or actress who would play the roles whenever I think about certain scenes (even if they were not shown in the movie). Can I just say “Rudy Steiner” is adorable? He’s even more adorable than I imagined. I wanted so much to like this movie (as much as I liked the book) however, it is because I liked the book so much that I wanted the movie to represent it on par with the book. One might say it’s not fair to compare the book with the movie but I can’t change the fact that I have read the book first. I can’t NOT take that into account, no matter how much I want to be unbiased. Despite all these things, it was not a bad movie. I think people would still appreciate the story and it is a good complement to the book. I would not recommend skipping the book for this movie though especially if you want the complete, fulfilling experience. [Part 1] Movie Theme: World War II. Yesterday, after much contemplation on what efficient way to make use of my holiday, I decided to just watch a movie. What better way to spend the holiday right? However, I was met with another dilemma: WHAT MOVIE TO WATCH? My sister suggested that I try “The Imitation Game.” In her opinion, it had such a beautiful cinematography and an interesting take on the events that took place during the World War II. It was after all, based on a true story. 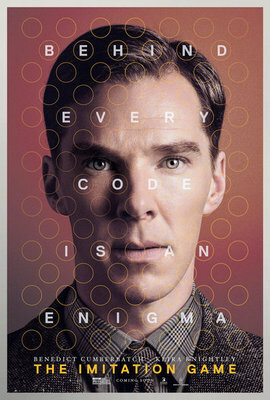 The Imitation Game tells the story of the man who invented a machine, which he called “Christopher,” designed to decrypt the coded messages of the Nazis during the Second World War. He was met with much criticism as people did not understand his intentions in making this very expensive machine. Like I said, it was an interesting take on the events that transpired during the World War II and it was well executed. I would have to agree with my sister regarding its cinematography. The look and feel of the scenes were very deliberate and well-thought out. Despite the movie’s lack of action and thrill, it was able to present visually pleasing movie. Benedict Cumberbatch portrayed the character of Alan Turing with a mild resemblance to his other famous character, Sherlock Holmes. Both characters of Cumberbatch are devoid from social skills and looks at the world in a literal sense. It made me miss the show “Sherlock” which is rumored to air in 2017. Why are they making us wait that long?!?! This movie is not for everyone. If cleverly executed movies are your thing, this will be right up your alley. If you like sweet, romantic comedies, umm… look elsewhere. I plan to watch this movie again sometime later in the future just to get some of the information straight.